Hydrogels, nanogels, and nanocomposites have attracted much attention as drug delivery systems during the past decades. In this work, a novel drug delivery system was synthesized by incorporation of nanogel into multi responsive hydrogel nanocomposite. At first, nanogel was prepared by copolymerization of N‑isopropylacrylamide (NIPAM) and (2-dimethylamino)ethyl methacrylate (DMA). 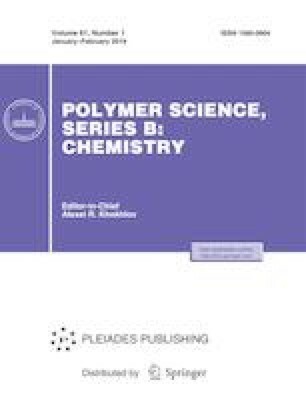 Then it was embedded it into pH, thermo, and magnetic responsive hydrogel nanocomposite including graft copolymerization of poly(2-dimethylamino)ethyl methacrylate (PDMA) onto salep (PDMA-g-salep) and Fe3O4 nanoparticles (NPs). The synthesized samples were characterized by Fourier transform infrared spectroscopy (FTIR), thermo gravimetric analysis (TGA), X-ray diffraction (XRD), scanning electron microscopy (SEM), vibrating sample magnetometer (VSM), and atomic force micrographs (AFM). The sensitivity of the synthesized sample to temperature, pH, and magnetic field was studied using the swelling experiments. The drug release ability of the sample was also investigated at different pH, temperatures, and magnetic field. Finally, different kinetic models were used to discuss about the mechanism of drug release from the prepared sample. Our results represented the high efficiency of this kind of hydrogel nanocomposite for applications in cancer therapy. The authors wish to thank Payame Noor University for their financial support of this study.